Pest control isn’t just confined to the nooks and crannys of households and gardens. Agricultural pest control, for example, is associated with more advanced pest control techniques. Pest control techniques differ from homes and cities to more agricultural, horticultural and forestry environments. One key reason for this is the difference in scale between the two and the way in which the latter has more advanced pest control techniques. By mixing the affected area(s) with the pest’s natural enemies, this common form of pest control seeks to get rid of the pests in a more natural way with less human intervention. Releasing natural enemies among the pests will enable the enemies to grow in population and inevitably takeover the area. This method is more of a long-term solution as it will prevent the pests from breeding and surviving. Very much hands-on, cultural control provides physical barriers between plants and its pests (usually insects). But within this method also lies the technique of exposing the pests to its predators by manual means such as ploughing. Physical traps are also a part of cultural control but can be expensive, difficult to manage and leave people susceptible to bites from the pests. This is the art of planting a decoy plant which attracts the pests resulting them being diverted away from the genuine crops. This leaves the pests open to mass action especially if they are all within the vicinity of the decoy plant. This also depends on how isolated the decoy plants are from the genuine plants, but quite often or not the pests would venture back to the genuine plants leaving this method less-effective than others. One of the more common techniques in agriculture is using pesticide to kill pests. There is a careful balance which needs to be met in order for this technique to be efficient. The aim is to kill off pests while minimising the loss of the enemy population – this is where creating the right formulation is important. Timing is also important, whether seasonal or on a daily/weekly basis. Pesticides also have potentially life-threatening affects on humans and the balance between ensuring the formula does its job and whether the crops are safe for human consumption is very thin. These consist of the usual traps and catchers which are commonly sold in DIY stores. Targeting smaller amounts of pests such as rodents, cockroaches or flies, household pest control usually consists of sticky flypapers for flies or small rodents and physical boxes with bait inside to catch larger rodents. In some larger buildings, electrically charged grids are fitted to some areas with the intention of killing those pests which fall for the trap. Arguably classed as an advanced pest control technique is the use of ‘garden guns’. These garden guns, as the name suggests, are commonly used by gardeners and farmers for snakes, rodents, birds and other pests. With a range of around 15-20 yards, they are effective inside sheds or small areas of the garden. A common pest when it comes to affecting building structures are beetles and termites. Given time, they will chow down on wooden structures causing them to get weak and potentially cause heavy damage. This is a more costly advanced pest control technique but it usually gets the job done, especially when done professionally. It however is a huge inconvenience to carry out as it involves sealing sections of a building for an extended period, usually 1-3 days. Insects include termites, mosquitoes, beetles, cockroaches, silverfish, book mites and many more. Some are hidden in concealed locations such as within books in a book-stand, clothes in a cupboard, edges of carpets and under furniture. A common denominator for these pests is that they can all be hoovered away using the right powered vacuum cleaner. The only major problem with this technique is the ability to spot them with the naked eye as these insects purposefully conceal themselves, not to mention the eggs which are almost impossible to spot with the naked eye. Every infestation requires a pest control technique which effectively eradicates the pests. It’s not expected for property owners who have little or no experience in pest management to intervene. 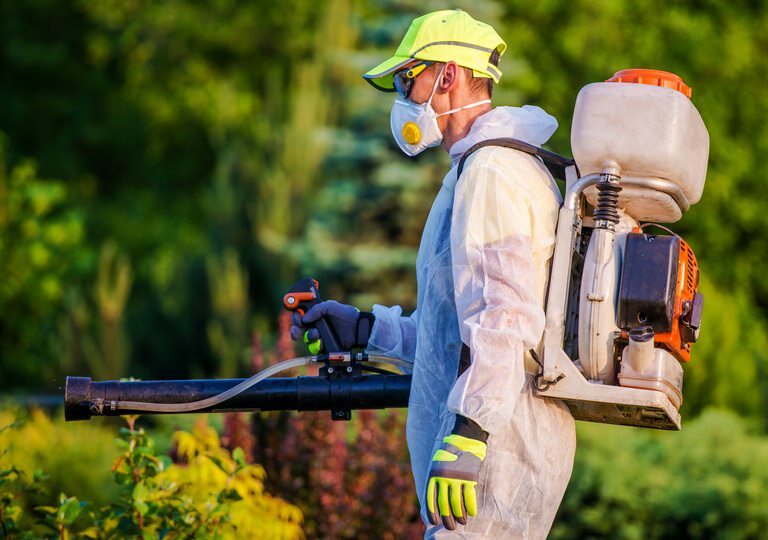 Whether it’s biological, cultural or chemical control, a professional pest control business can handle the process from coming up with a comprehensive plan to implementing the right strategies. It’s always best to reserve the job to the experts to help guarantee the safety and wellbeing of the entire community. HIREtrades is a one-stop online marketplace for connecting consumers and businesses, covering 200+ trades and serving all states across Australia. Visit our dedicated Pest Control page or Get A Quote by filling out our quick and easy form.